Surface exchange fluxes measured by eddy covariance tend to be underestimated as a result of limitations in sensor design, signal processing methods, and finite flux-averaging periods. But, careful system design, modern instrumentation, and appropriate data processing algorithms can minimize these losses, which, if not too large, can be estimated and corrected using any of several different approaches. No flux-correction method is perfect, however, so methodological uncertainties are inevitable. This study addresses the uncertainties in surface flux measurements that have been corrected for spectral attenuation with the transfer function approach. The sources of the errors in the estimates of flux attenuation examined here include the (flux-averaging) period-to-period variablity of cospectra, the departure of real cospectra from presumed smooth curves, the inherent variability in maximum frequency (f x ) of the frequency weighted cospectra, and possible imprecision in instrument related time constants. A method is proposed to estimate the uncertainty resulting from combining these effects. 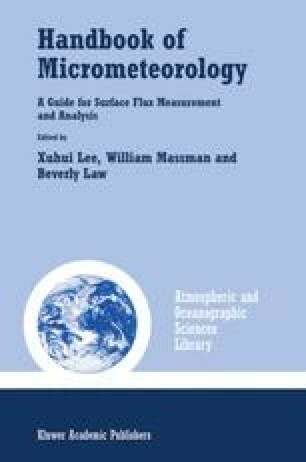 Also included in this study are a general mathematical relationship to describe spectra or cospectra, comparisons of observed cospectra for cospectral similarity, and discussions about including high-pass filters (associated with the flux-averaging procedures) when accounting for low frequency losses.